Jasper County’s first high school, Monticello Academy, was built on this location in 1890 and demolished in 1921. 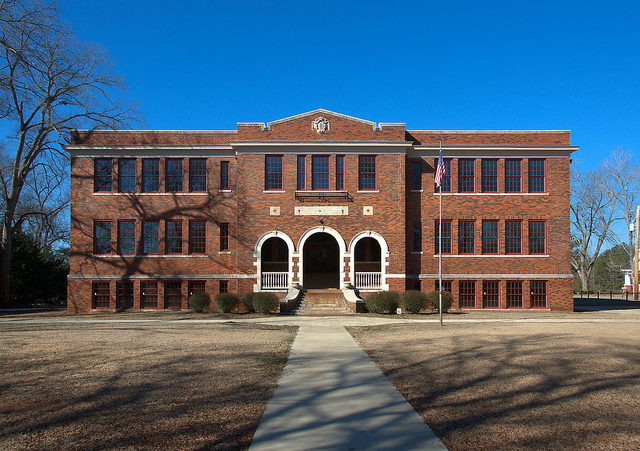 Architect Henry Jordan designed the present structure, which was used for high school classes until 1956. From 1956-1975, various lower grades met here, and in 1975, the building was vacated. The Jasper County Historical Foundation acquired it in 1979 and has operated it since. A 2005 inheritance from the Thomas Persons estate has allowed much-needed renovations and insured a healthy future for this much-loved local landmark, now known as Thomas Persons Hall.